A Facebook business page has become an essential component for most digital marketing campaigns. 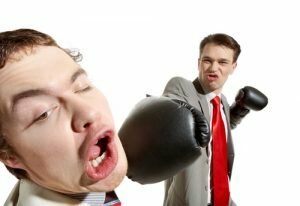 But what do you know about your competitors on Facebook? Perhaps you have scanned their page, taken notice of how many fans they have or even ‘liked’ their page so you could be updated on their status. The information available on your competitors is astounding and the following tools can help make that information actionable.These platforms will save hours in producing competitive analysis reports. These tools DO NOT require you to be the admin of the page but DO however assume you KNOW who your competitors are on Facebook. There’s a chance I’ve overlooked a tool or two, so please be sure to comment and let me know. As soon as you sign-up you have access to the last 30 days of data for all Facebook pages. The platform allows you to view all charts based upon the last 7 days, the last month or a custom date range. Apart from getting an overview of all the pages you are monitoring, you can also compare 2 pages, side by side. Socialbakers has developed a unique Fan page score based upon the following stats: Fan growth rate, quality of content, engagement rate and quality of your posting strategy. They also list these Key Performance Indicators side by side, so at-a-glance you can determine how your page stacks up to your competitors. The amount of data in this head to head comparison is astounding and most of the charts in this section or exportable to either a CSV file or an image. They include a graph that charts the ‘People Talking About’ metric for each day of the month, so you can determine if Facebook users are talking more about your brand or your competitor. This chart would help to determine the effectiveness of off-line campaigns in creating on-line buzz or mentions. Another extremely impressive feature of this tool is the comprehensive ‘Benchmarking’ chart that lets you see the KPI’s for all pages side by side on a bar graph. Sadly, these charts don’t appear to be exportable. Particularly interesting is the ‘Trends’ tab where you can compare 2 sets of data for all brand pages and have the result displayed in a bar graph, line graph that spans your date range or interactive bubble graph. So for example, you can chart the country reach (percent of total population engaged with the page) of each page against the fan growth rate and have an interactive chart that tells you which brand has a larger share of voice nationwide. The tool also can produce data on global reach. Quintly houses an impressive amount of data for a very reasonable price point. the interface is user-friendly and offers up a ‘Help’ sidebar the defines the data parameters and offers helpful hints. Upon sign-up for the free account, I had access to a full-year’s worth of historical data. The Quintly dashboard is customizable and allows you to add a variety of different widgets, so you can quickly view the most valuable data sets. Widgets include charts reviewing the following data. Fan Change – Chart with absolute change of the fancount of Facebook Pages for a specific time interval. Own Posts – Chart with the number of own posts of Facebook pages for a specific time interval. Interaction Rate – Chart with the average number of interactions per own post normalized per fan of Facebook Pages for a specific time interval. Checkins Total – Chart with the development of the checkins of Facebook Pages for a specific time interval. The ‘Quick Analysis’ feature allows you to quickly compare a specific data-set for all of your competitors pages. For example, if you wanted to learn what types of content your competitors had been posting of the last year, you could do that with just a few clicks. The example below compares the types of content posted on three of the major social media brand Facebook pages over the course of 2011. 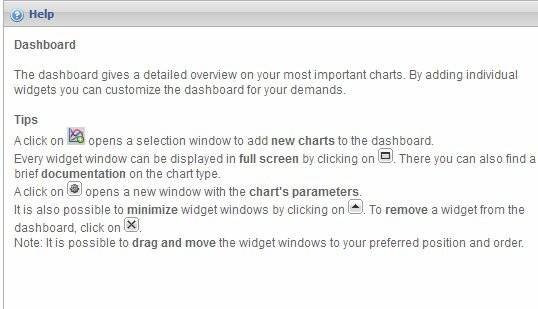 Most charts are exportable to several formats including a PNG, PDF, JPEG or even a SVG vector image. If you want to spring for the $399 per month Business package, the platform can export reports to a CSV file as well. Strength: Presenting actionable insights such as best day to post and engagement rate for post types. Zuum Social creates reports comparing up to 10 Facebook pages. The dashboard lists some actionable stats for each page including the Engagement Rate, Best Engagement Day, Best Media Type and Best Engagement Hour. Data can be displayed daily, weekly, monthly or quarterly. The platform also will provide the most engaging admin and fan posts for all compared pages. A unique feature of this platform are the ‘Conversation Themes’ outlined in an exportable chart. The tool will aggregate keywords used on at least 2 pages and bucket posts that use the key term. It then displays which ‘theme’ is being discussed on each page and how engaging that theme or conversation is based upon fan interactions. The example below calculates popular ‘themes’ for the 2012 presidential candidates during Thanksgiving week. All of the charts and graphs are exportable in various formats including JPG, PDF, PNG, vector and CSV file. Once you become a client you not only have access to your custom reports but any of the industry sample reports that Zuum social offers. Sample reports include information on the 2012 presidential candidates, airlines, fashion retailers, footwear, snack foods, hospitals, and automotive brands. Zuum has also put together an impressive guide to working with their tool and how to derive insights from the data collected. 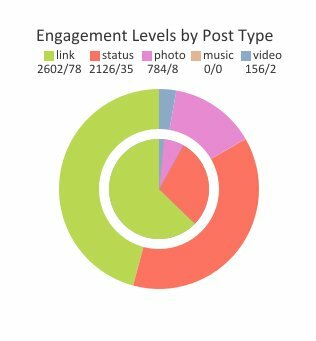 (http://www.zuumsocial.com/how/our-facebook-marketing-tool-tutorials) Topics include Report Settings, Media Type Analysis Charts, Quantity to Quality Ratio Chart, Conversation Topics Charts and more. Simply Measured offers comparison reports on Facebook and Twitter. They have a free Facebook competitive analysis report, comparing up to 5 Facebook pages. This free report is exportable to an Excel spreadsheet and a PowerPoint slide deck. You have the option to use an existing PowerPoint theme so you can quickly customize the report with your own logo. Their professional or paid services are more comprehensive and allow you to run reports comparing up to 10 Facebook fan pages. The tool is report driven which means there aren’t any online dashboards comparing data but all the data is bundled into Excel or PowerPoint documents that can be viewed online. The paid version of the report includes 2 additional charts, New Page Likes Comparison Over Time and Top Posts by Comments. Their paid plans start at $500 which allow you to monitor up to 250,000 fans/followers on an ongoing basis. Twitspout is launching a Facebook Page comparison tool early next year and they were nice enough to give me a sneak peak. The tool is currently available for clients who who register for their white label solution. The platform will allow users to compare metrics for up to 50 competitors Facebook Pages, including Total Fans, Engagement per Post, Posts per Day, Likes per Post, Fans Fans recruited per Day, Comments per Post and Response Time. The leaderboard shown below will sort your competitors pages based upon any of the available metrics you choose. Clicking on the Facebook Page name will take you to an exportable details page that includes page stats such as growth rate, engagement rate and average response time. This feature isn’t unique to TwitSprout but the way they have chosen to display the data does make it a snap to gain valuable insight. TwitSprout co-founder, Dan Holowack, explains the goal is to have the inner circle match the outer circle. As shown below, Social Media Examiner could boost engagement by posting more photos and less links. TwitSprout accounts include up to fifty competitive pages or accounts and 25 authorized accounts across both Twitter and Facebook with plans to extend to LinkedIn. Blitzmetrics.com offers Facebook dashboards and was developed by Dennis Yu from BlitzLocal. The tool is currently free with additional features available for premium clients. The free dashboard allows you to compare your Facebook page with up to 3 of your competitors. This is the first tool I’ve reviewed that actually derives a dollar amount from the engagement resulting from the Facebook page. In order to get this value, you DO have to be the admin of the page and this data isn’t available for your competitors. According to Yu, the “earned media value is defaulted to a $5 CPM calculation, but can be configured for premium clients to have values for a fan, like, comment, share, and so forth.” This calculation should be very compelling to marketers tasked with proving the value of a Facebook page. Wildfire offers a free Facebook comparison tool that simply charts the # of page fans over time for up to four Facebook pages. The data includes the actual number of page likes as well as a growth rate percentage. They also report on a page ‘rank’ based upon the number of fans and unique visits to the page compared to ALL Facebook pages. This tool really doesn’t present any actionable data and is weak sauce compared to the other platforms reviewed in this article. I was thankful that Wildfire had a ‘chat’ feature so I could get answers to my questions immediately. Kira was very helpful and answered all my questions promptly. Momentus offers a Facebook page grader that quickly ranks any Facebook page against competitors in the same category. The tool presents ‘vital statistics’ which include overall fans, admin posts per day, likes/comments, community posts per day, community responses and then calculates an overall health score. They also present a list of the Facebook Pages that rank HIGHER than your brand page, based upon your page category. This allows you to quickly scan the list for any potential direct competitors that might be outperforming you on Facebook. Now you know the types of data you can collect on competitors, it’s time to think about which data sets are actionable for your own campaign. What can these stats from your Facebook competition teach you about engaging your Facebook community? Remember we’ve all moved past simply measuring the size of the community or number of fans. It’s all about the ‘motion of the ocean’. Don’t despair if your competitors have recruited more fans, these tools will help you take a closer look.